Inspired by the luxurious interior of boutique hotels, the Deandre Squares Lamp by RV Astley will add a touch of sophistication to your home. 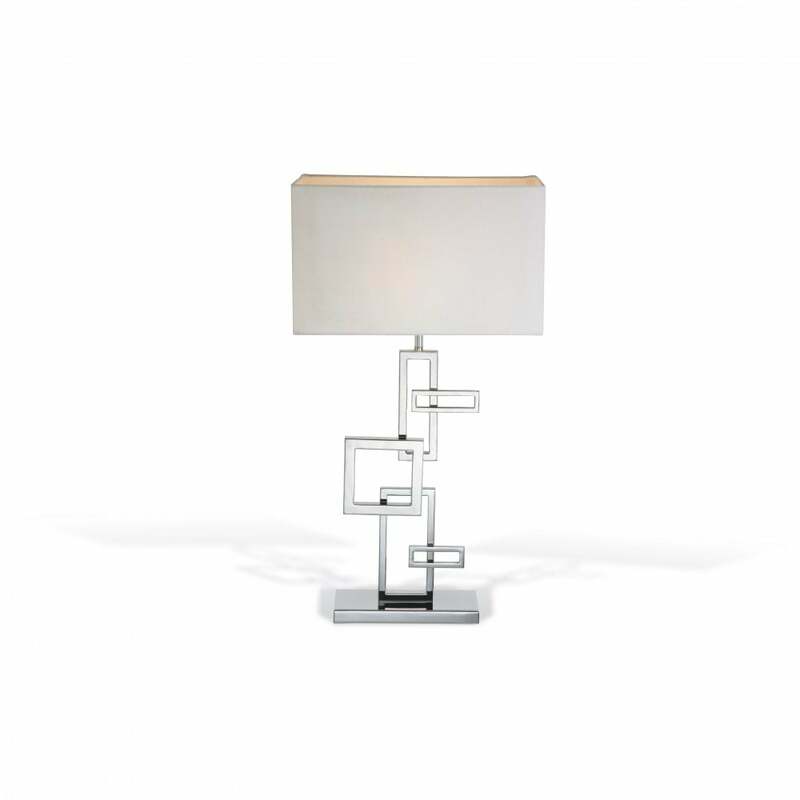 Composed of interlocking squares and rectangles, this designer table lamp is crafted in a contemporary nickel finish. Drawing on the shapes from the 1970's, this statement light presents a modern take on this fashionable era of design. Complemented by a sleek, white shade, style with minimalistic interior for a sophisticated look.